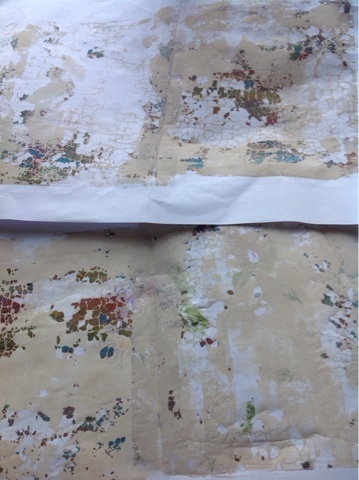 Playing with the Paperartsy challenge (monoprints) I had to start by cleaning my gelli plate from dry paint residues. I got a few cool prints with a crackle effect. Here's one of them, it became a background for the Jofy flower. 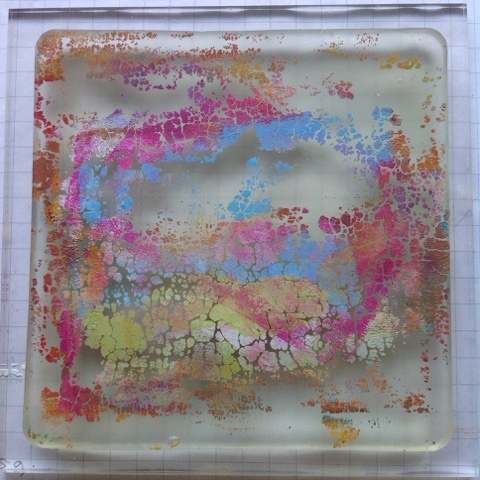 My gelli-plate was crusted with some dry paint. I had tried the drying layers method, but just didn't get it to work... but it does look great. I decided to use Bluff (and drying retarder) to get some prints. The prints didn't have these beautiful brights, because the lower layers of paint were darker shades. The buff seemed to have a hard time deciding if it would rather stick to the old paint or to the paper. 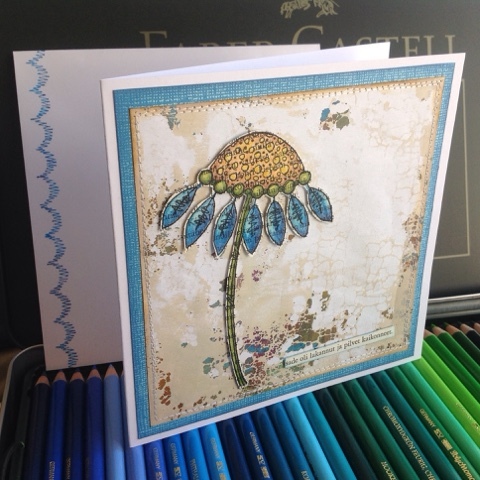 The first print (that I used for the card above) is quite empty, because most of the paint stayed on the cracles. The areas between the cracked paint did print, giving an interesting crackle effect with just white and buff. 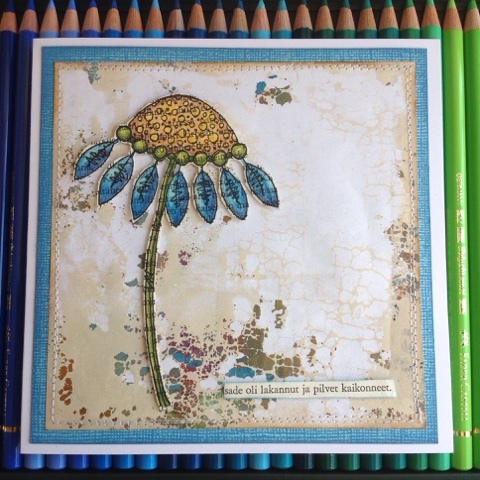 The Jofy flower was stamped on book paper and coloured with my new Polychromos pencils. There were om beautiful blue shades that matched the colours in the print. I fussy cut the flower, mounted it on foam tape and adhered to the background. As a sentiment I used a piece of text from the same book. It says "the rain had ended and the clouds disappeared". Nyt vasta huomasin. Tämähän on hieno!